Sun, sand and sweat can wreak havoc on your tender skin. These must-have skin products will help you take care so you can dare to be bare! You know how convenient spray-on sunscreen is for children, and it’s great for moms too! Check out La Roche-Posay Anthelios 30 Ultra-Light Sunscreen Spray. This fast-absorbing sunscreen spray is alcohol- and fragrance-free and safe for even the most sensitive skin. The silky spray-on finish is water resistant and provides high UVA protection for up to five hours. Saltwater, pool chemicals and strenuous activity can leach precious moisture from your skin. Replenish that moisture by applying body lotion at least once a day. Try Vaseline Total Moisture Cocoa Radiant lotion. The name says it all. This rich-feel formula combines pure cocoa butter and Stratys-3 multi-layer moisture to leave your skin feeling healthy and glowing, from the inside out. Sun-bronzed skin is damaged skin, so get your glow from a cosmetic bronzer instead. 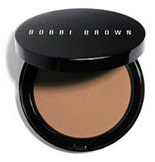 Powdered bronzers are great for perking up tired, dull complexions, no matter what your skin type or tone. Refresh with a spritz of skin-cooling spray on those crazy-hot summer days. Spray it on to immediately cool and hydrate your skin. Don’t forget to protect your pretty pout. The skin on your lips can take a serious beating in the heat, so be sure to keep it well moisturized.